Olaf barely made it through a frigid winter on the streets of Indianapolis. When he was rescued last winter his paws were so severely frostbitten that he needed to have all or part of three of his paws amputated, WRTV reports. But Olaf never has to spend another winter out in the cold, because he went home to his perfect forever family in March. The cat, aptly named for the snowman from "Frozen," was only a 12-week-old kitten when rescuers saved him from a life on the streets. 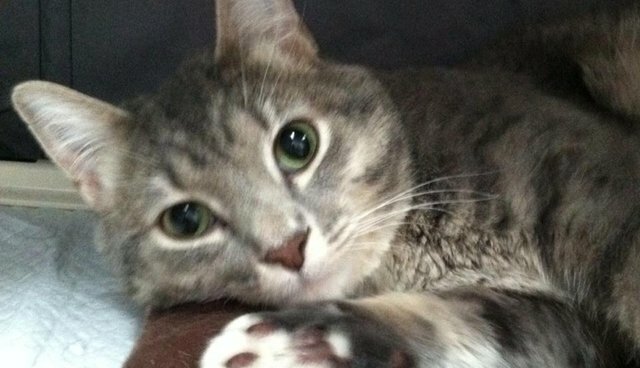 He was taken to FACE, an Indianapolis animal clinic, where he underwent surgery to completely amputate his frostbitten back paws and some of the toes on a front paw. 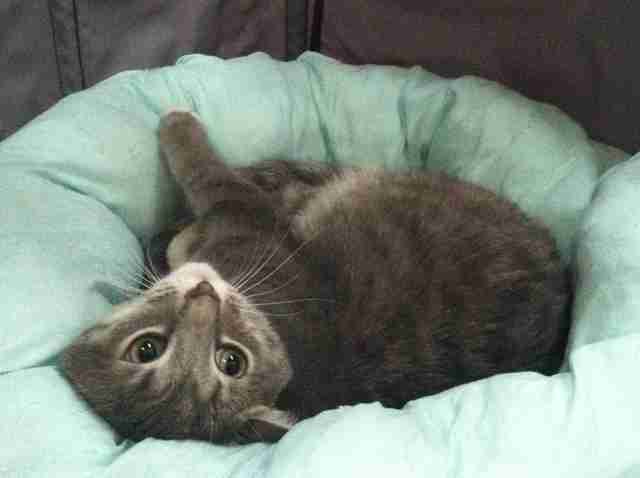 Olaf quickly became a staff favorite during his recovery, and as soon as he had adjusted to life with just one paw, they began looking for a perfect forever home for him. Melinda Rumschlag saw Olaf's story posted online in March and knew he was the one for her. 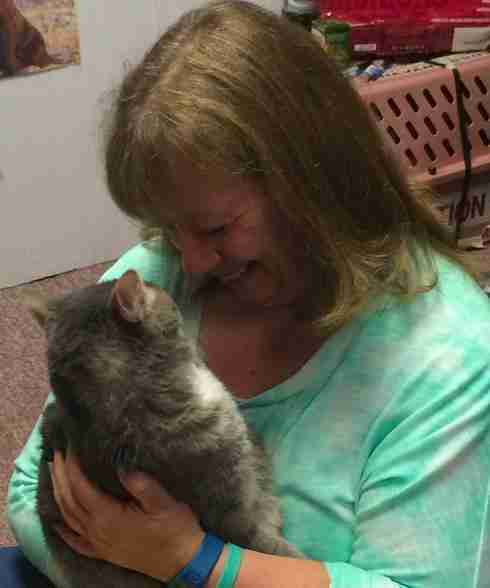 "There was just something about his story that touched my heart and said he needs to be my cat," she said. Since taking him home she has already set up a special litter box for him, and she told WRTV that she's been in touch with specialists who may be able to fit Olaf for prosthetic paws. In the meantime, Rumschlag and Olaf are getting used to being each others' family, and she's set up a Facebook page for anyone who wants to keep up with his story.